Avaya IP Office is a robust mid-market collaboration solution that can empower your employees to build stronger relationships between partners, customers and peers. By engaging users on virtually any device, the Avaya IP Office Manager collaboration solution is easy to use and can support up to 2,000 users. Flexible configurations allow you to deploy Avaya IP Office as both a virtual solution and an on-premise appliance. Hybrid deployments are also available, providing businesses with complete deployment flexibility. With the Avaya IP Office Manager, your administrators can manage multi-channel contact centers, security and collaboration from one centralized location. Avaya IP Office is an all-in-one, reliable business collaboration software solution. Avaya is a global top provider of business collaboration and unified communications products. These solutions enable businesses to act quickly and efficiently by providing them with the correct information at precisely the right time. Along with products like the Avaya IP Office Manager, the company produces various tools that manage contact center processes, improve collaboration, make real-time decisions, facilitate networking and help employees make mission-critical business decisions. Avaya works with businesses of all sizes from various industries all over the world. Solutions designed specifically for small and midsized enterprises are also available. 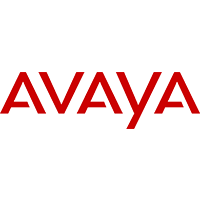 Avaya was founded in 2000, and is currently headquartered in California. Learn everything you need to know about Avaya IP Office. Our experts will reach out to you shortly.